As part of the realignment of Warner-Milne Road at the Molalla Avenue intersection, the City of Oregon City hired a team with GreenWorks to design a rain garden in a vacated portion of the right-of-way that will treat stormwater runoff from the adjacent heavily-travelled roadways. 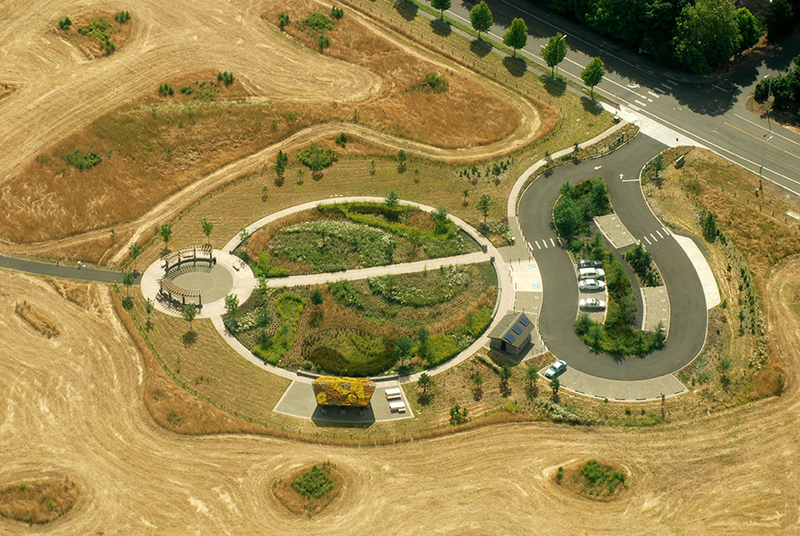 A series of large serpentine Corten steel fins meander through the site, articulating the stormwater channel and creating a striking contrast to the lush rain garden plantings. 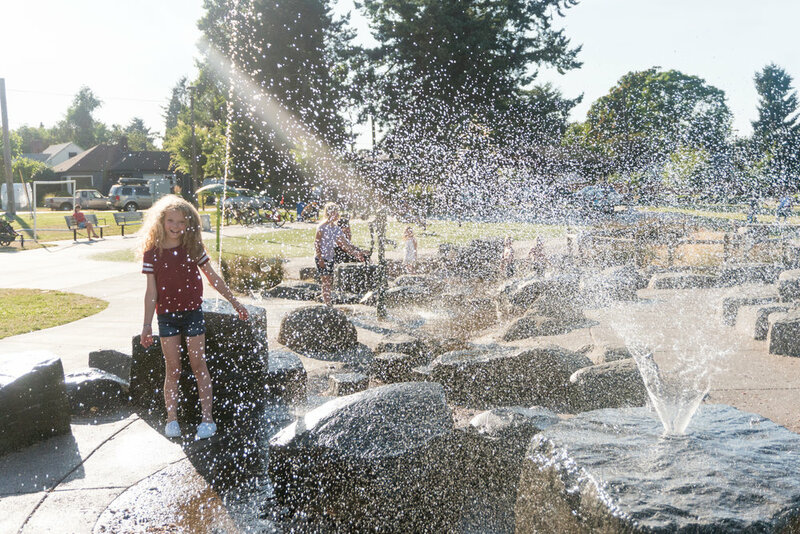 The first of its kind in Oregon, this rain garden incorporates prominent sculptural elements that highlight the City’s committment to sustainability. 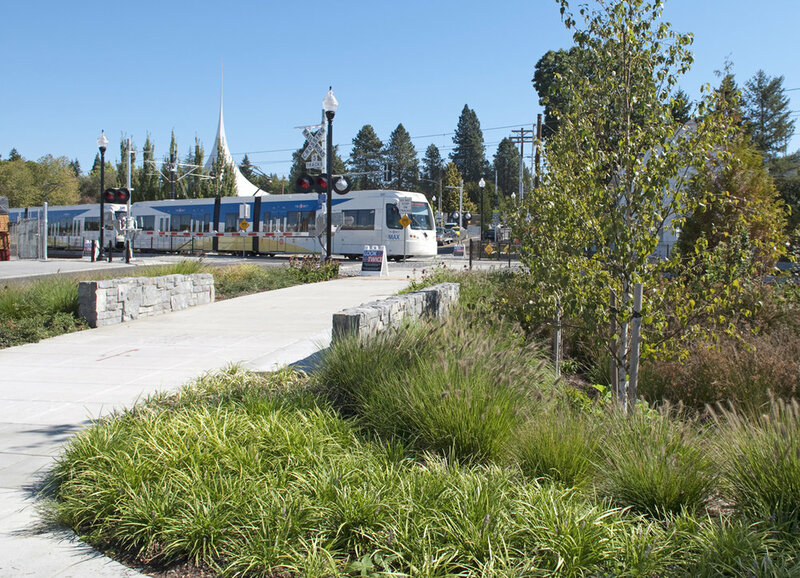 GreenWorks assisted Metro and its regional partners in developing a comprehensive land use and transportation planning study to identify and prioritize public investments in the corridor between downtown Portland and Sherwood. The Southwest Corridor Plan builds on 25 years of the region’s experience in light rail and high capacity transit planning and has shown that major public investments in transit bring the highest value and return on investment when done in coordination with local visions for livable communities. 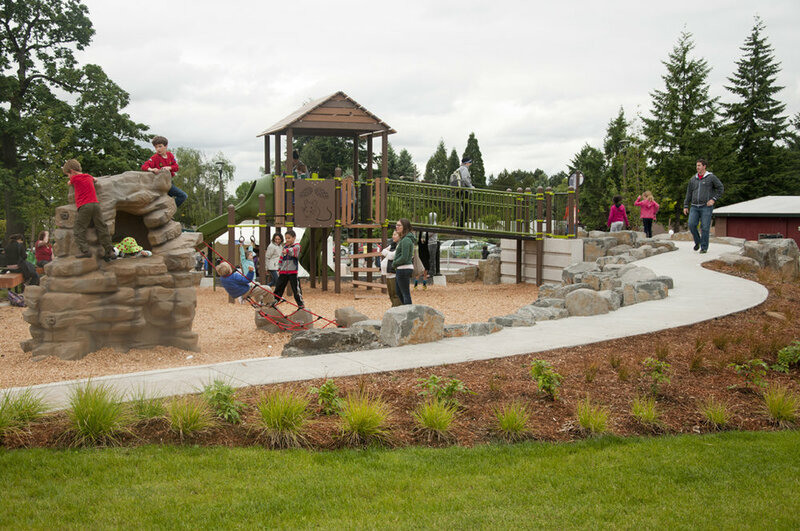 Parks and natural resources are a key component for livable communities. 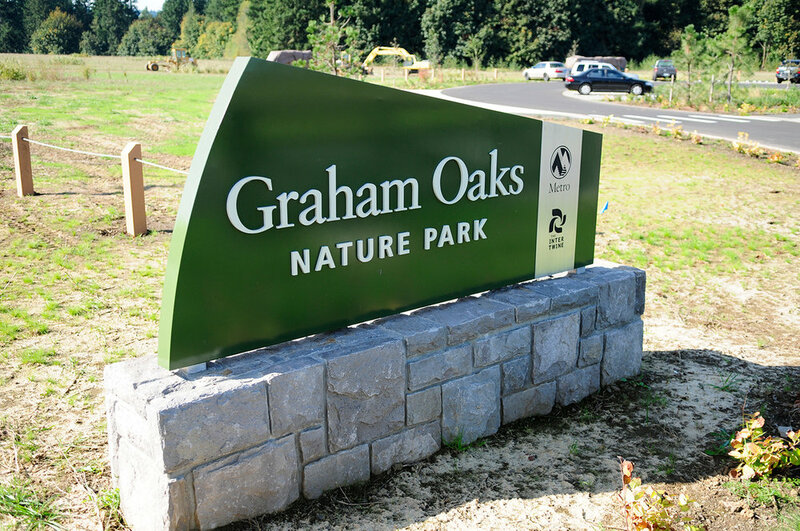 GreenWorks facilitated stakeholders interviews with the project partners, existing conditions analysis and created a comprehensive inventory of parks, trails, natural resource and green infrastructure projects across the region. GreenWorks assisted in screening, evaluating, and integrating this regional comprehensive list of projects into the transit alternatives for the SW Corridor ultimately for selection of the preferred transit alternative. 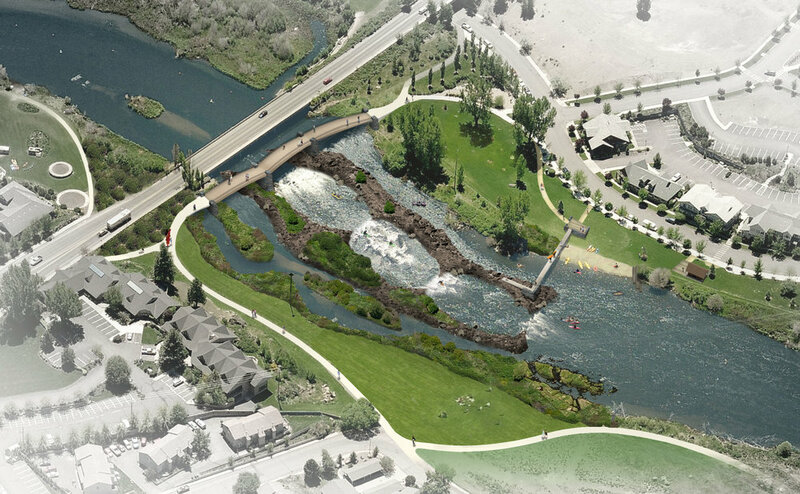 The plan integrates natural areas, habitat corridors and trail connections to provide a more holistic plan that elevates the value of the area’s natural resources.